Macri's experience providing services to people who are in crisis or homeless should help the Legislature as it works to improve the state's mental-health system and response to homelessness. The state of Washington must address chronic shortcomings in its mental-health system and provide more coordination of homelessness services — two related, statewide challenges that local jurisdictions cannot solve alone. 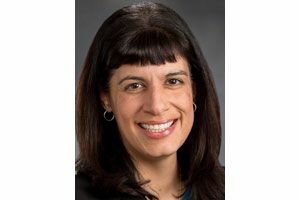 State Rep. Nicole Macri, deputy director for Seattle’s Downtown Emergency Service Center, is highly qualified to support this work in the Legislature. Voters in the 43rd District in central Seattle should elect her to a second term in House Position 1. With her front-line experience supporting people who are currently or recently homeless, Macri could be especially helpful advocating for improved coordination between the numerous entities involved, better data collection and continuous improvement. This is needed to build and maintain support for continued investments in the costly homelessness response. Demonstrating improved outcomes and strong oversight should receive as much attention as calls for more funding now that Washington spends well more than $1 billion a year on homelessness and housing subsidies, financing and tax credits. Strengths: With her front-line experience supporting people who are currently or recently homeless, Macri could be especially helpful advocating for improved coordination between the numerous entities involved, better data collection and continuous improvement. In describing concerns about housing affordability, Macri said she’s heard from retirees in her district suffering from higher property taxes. Yet, she’s still open to increasing property taxes further by allowing school districts to collect higher levies than currently allowed under the McCleary reforms. Macri favors new revenue streams such as a capital-gains tax, but she needs to avoid Seattle-style progressive tax schemes, which layer on new taxes to boost spending without actually lowering regressive taxes. Republican challenger John Peeples, an engineer working on Boeing’s 777X program, is concerned about government fiscal responsibility and rising property taxes. Peeples is an earnest and thoughtful candidate but lacks civic experience beyond volunteering with Boy Scouts and a library homework-assistance program. Incumbents are improved when challengers press them on policy issues and provide alternatives. But Macri’s deep knowledge of the homelessness challenge makes her the better candidate. Voters in the 43rd should re-elect Macri.